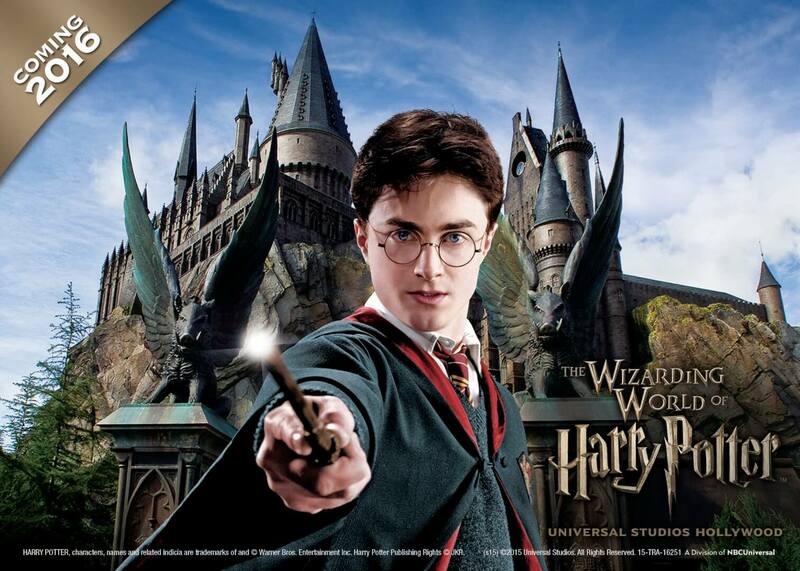 Universal Studios Hollywood today announced details of what attractions, shops, and restaurants will be featured when the Wizarding World of Harry Potter opens there in Spring 2016. The iconic “Harry Potter and the Forbidden Journey” ride will be the star of the new land, adding 3D visuals as an upgrade from its Florida counterpart at Universal Orlando. It will be set inside Hogwarts Castle, taking guests on a journey into many memorable scenes alongside Harry, Ron and Hermione. 3D will be achieved as guests sport Quidditch-inspired 3D goggles. The family coaster, “Flight of the Hippogriff,” will also debut as Universal Studios Hollywood’s first outdoor coaster, another borrowed attraction from Florida. Food and beverage locations to be featured in Hollywood’s Hogsmeade Village include the Three Broomsticks and Hog’s Head pub, as well the Magic Neep and Butterbeer carts. Hogsmeade will feature eight retail shops and locations, including Honeydukes, Ollivanders, Owl Post, Zonko’s Joke Shop, Wiseacre’s Wizarding Equipment, Dervish and Banges, Gladrags Wizardwear and Filch’s Emporium of Confiscated Goods. Universal Studios Hollywood guests are already able to authentic merchandise, including wands, robes and other collectibles from “The Wizarding World of Harry Potter, now available within the Features Presentation shop, located just inside the park’s main entry. An official announcement video for these details will be available beginning today, Tuesday, June 2, at 1PM ET / 10AM PT.